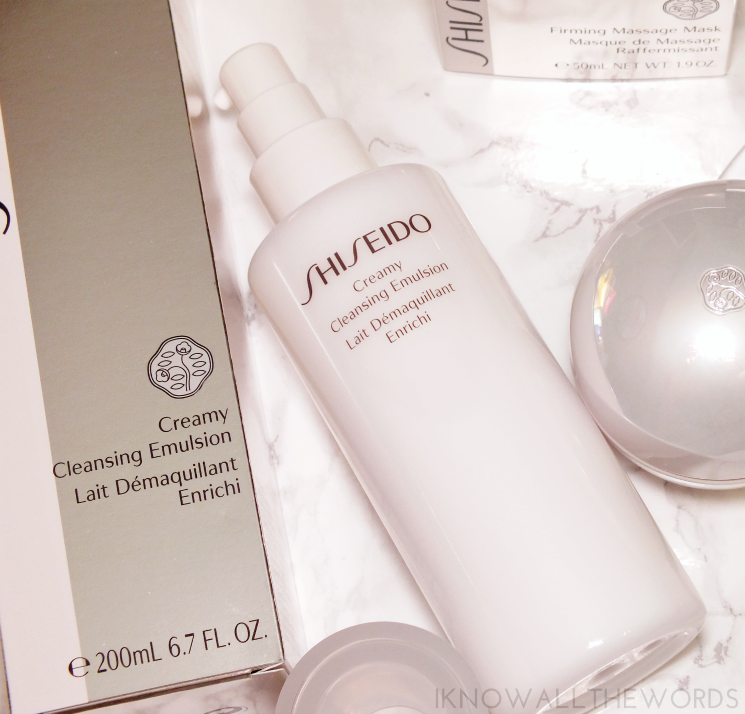 First up, the Shiseido Creamy Cleansing Emulsion. I love cleansing milks, but it seems they're not all that popular- anyone notice how rarely they pop up? 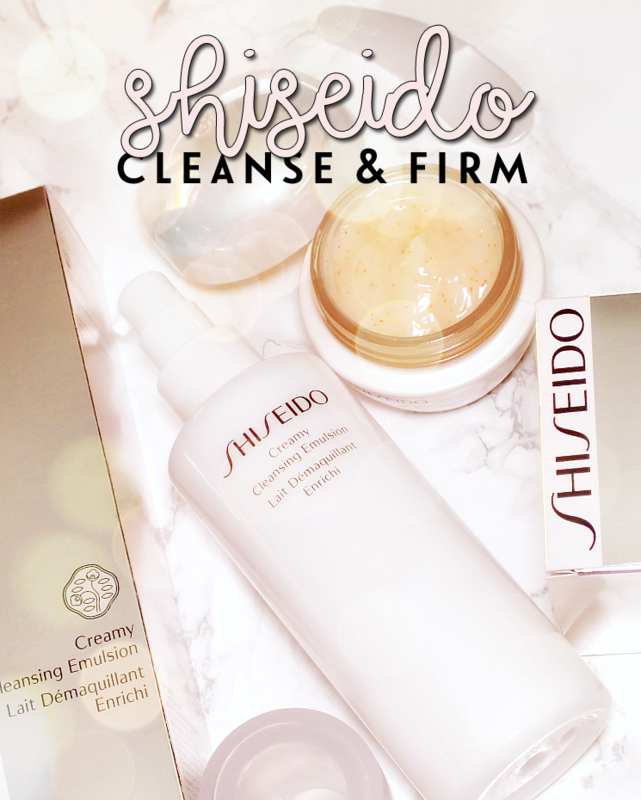 Anyway, if anyone can do cleansing milk right, it's Shiseido. This cleanser has a thicker texture than your average cleansing milk, but ticks every other box pretty well. You've got a few options for using the cleanser, as it doesn't need to rinsed off of skin. It can be used on a cotton pad- perfect for removing eye makeup- or used on skin then tissued off or rinsed off. The cleanser breaks down makeup really well (with the exception of waterproof mascara) while thoroughly cleansing skin. The formula is very gentle and and has the softest bit of scent. I've been less than happy with other Shiseido cleansers because of their intense scent, so this was a pleasant change. 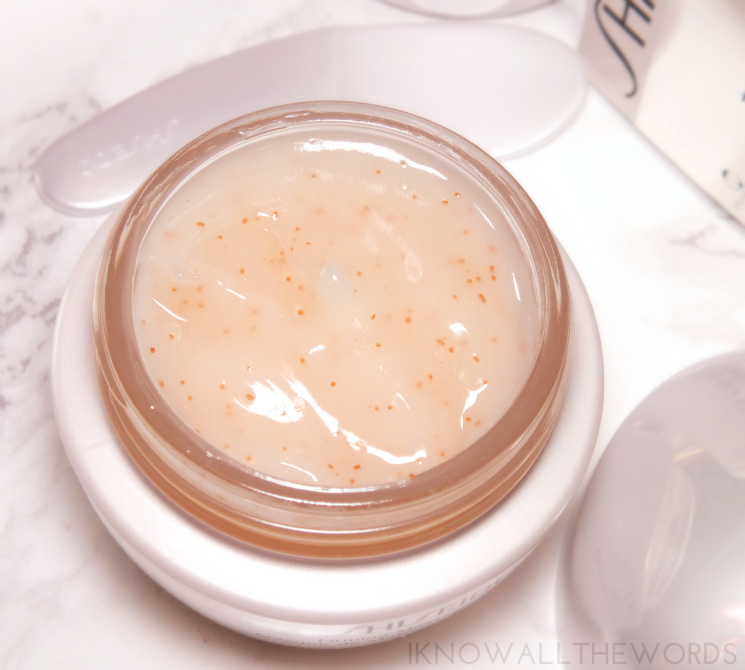 The formula isn't drying in the least, and is suited for dry and sensitive skin as is truly is that gentle. I wouldn't say this is hydrating, but it is formulated to promote hydration and moisture retention with it's Bio-Hyaluronic Complex. This makes for a great cleanser on lazy nights when a double cleanse just isn't in the cards, as it removes makeup just as well as it cleanses. 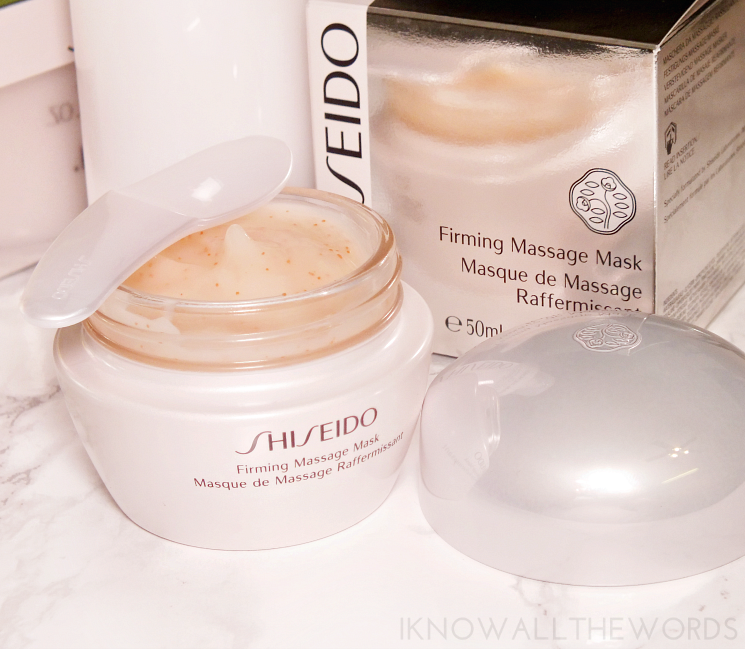 While I love a bit of mask action, the Shiseido Firming Massage Mask didn't seem like my type of mask at first. Turns out I was wrong, as it's more than just a firming mask. The mask is home to a host of anti-aging benefits along with added hydration, exfoliation, and massaging properties. The little specks visible in the cream-gel mask are vitamin E granules that do it all- they massage skin while removing dull surface cells, thus refining skint texture, then melt into the skin to offer up their antioxidant benefits. The mask is applied a bit differently than your average, as it's meant to be massaged onto skin for 2-3 minutes. After massing, it's left to sit for 3 minutes, then tissued off. The result is more radiant, supple feeling skin that is nicely hydrated and a little bit firmed. Oddly enough, the firming aspect is the least noticeable aspect on my skin, but the other benefits more than make up for that in my opinion. Overall, I'm really pleased with bot h of these products! I love the all in one nature of the Creamy Cleansing Emulsion and the Firming Massage Mask has been an unexpected hit. Have you tried either of these? Have any Shiseido favourites?